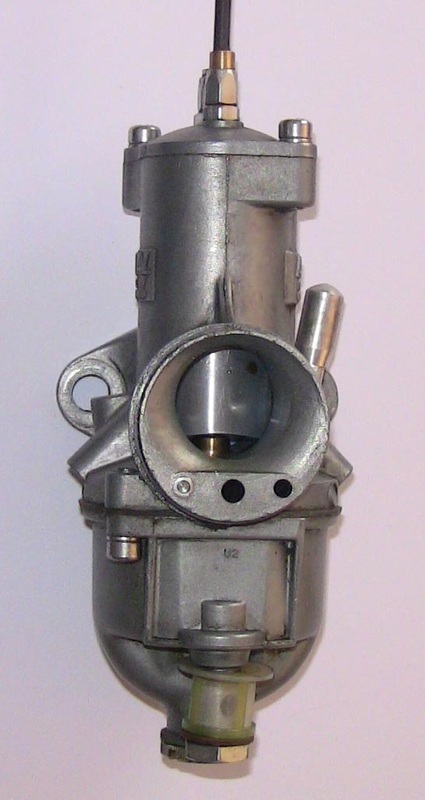 On this page : Original Amal carburettor. The original Amal was a DO76/DO3A which is a ' left handed' version. That is, the very small diameter float chamber is on the opposite or right hand side of the main body and the pilot and slide screws are on the left. The choke diameter is 15/16th inch. The cold start choke is a spring loaded plunger assembly. These old carburettors are available from a carburettor restoration specialist, Mr. Martin Bratby. The carburettor is restored to a better than new specification with rebored body and a hard brass slide along with all new internal components. I am aware these carburettors do not have a really satisfactory float needle system and can cause problems round the base of the main body by 'sweating' petrol. Always turn off the petrol tap immediately after stopping the engine. Make sure the petrol taps are not leaking internally. Picture of restored original carburettor model DO76. The new Amal carburettor is available from Stewart Engineering and is model type 624/4 concentric type. 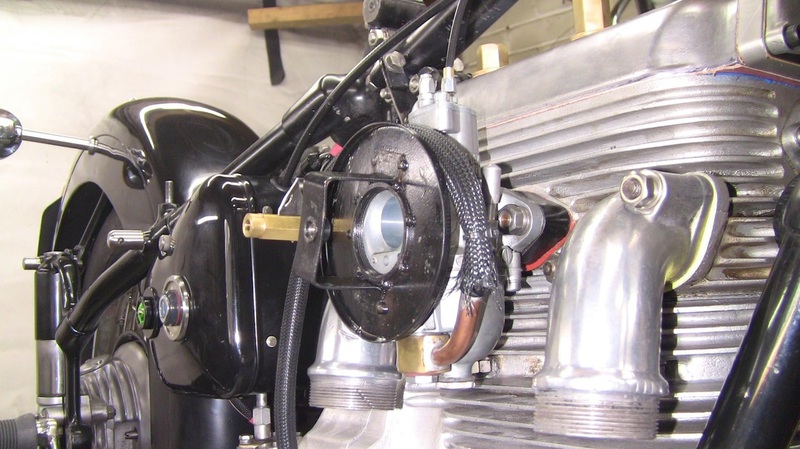 The choke diameter is 24 mm, this carburettor is very easy to set up requiring very little adjustment on the air or throttle stop screws. The choke is operated by a handlebar lever. I did away with this, blocking off the cable adjuster top to prevent air leakage, I enrich the mixture by flooding or 'tickling' the float chamber. The carburettor has a large 'tickler' button for this purpose. This is my favourite carburettor of the two types. 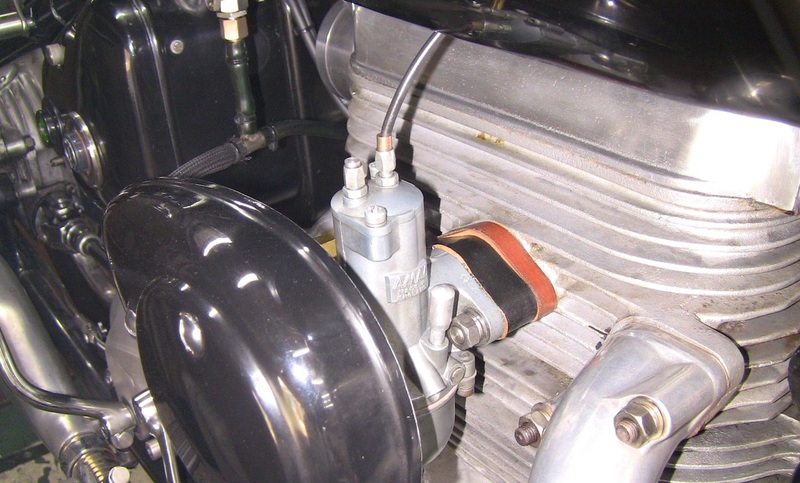 Burlen Fuel Systems do a ' Teflon ' coated slide for this carburettor. It is a straight forward replacement for the original and should reduce any wear significantly. Below is shown the new teflon coated slide on the left. 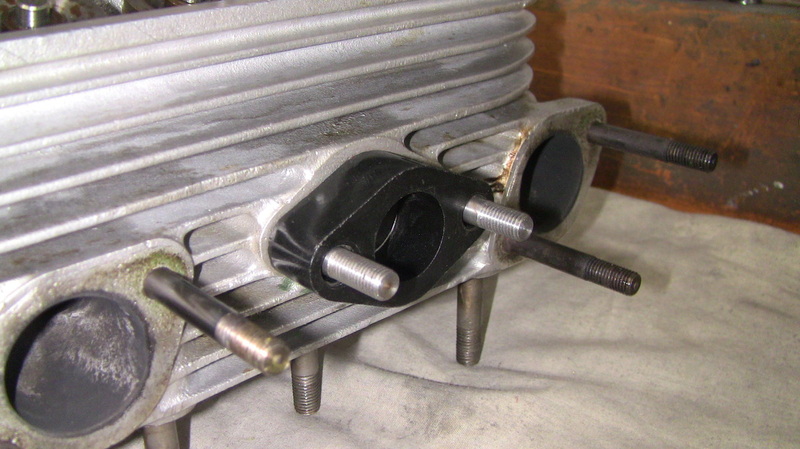 The back plate of the air cleaner for the two types of carburettor are different in the diameters of the threaded hole, so be aware they are not interchangeable. The two air cleaner backs are available from Stewart Engineering. Picture shown below, left hand type for old DO76 carburettor. Right hand type for new 624 carburettor. 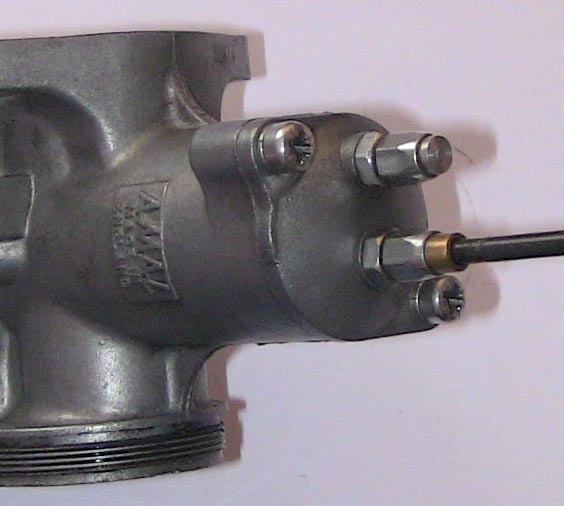 Picture of Amal 624/4 carburettor. Picture showing choke cable adjuster blanked off. 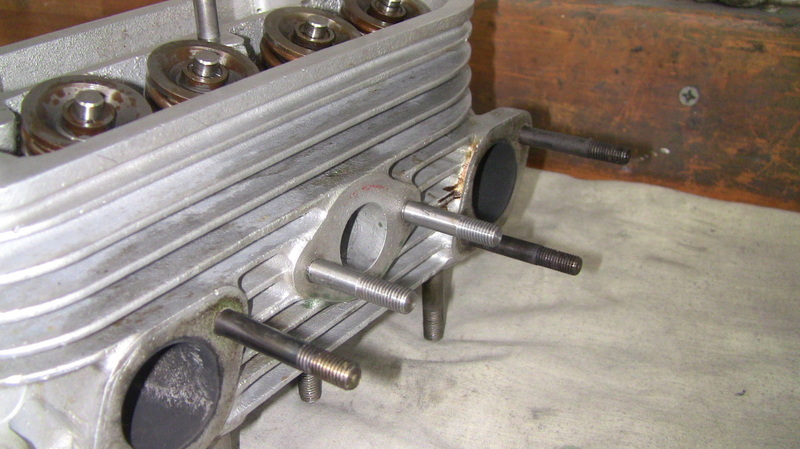 The standard spacer for the carburettor to cylinder head is 3/8th inch. I wanted to see if I could get away with a bit more offset. I machined up two new longer head studs and obtained a 3/4 inch spacer. 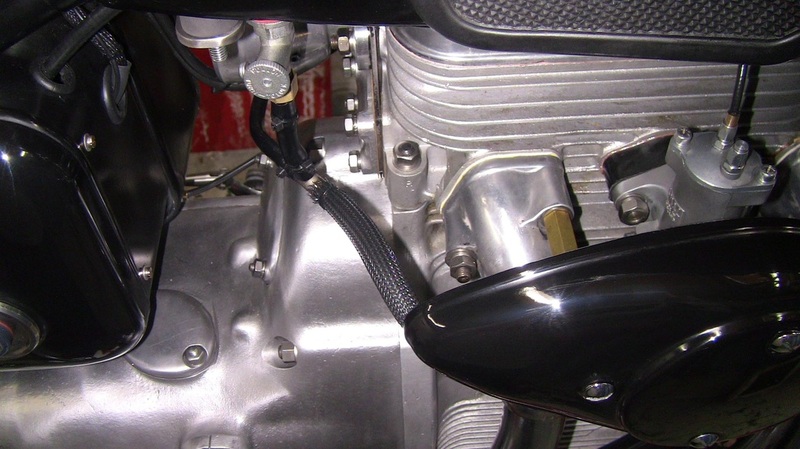 This is about the maximum possible offset with the standard 'teardrop' air cleaner cover without the riders right knee rubbing on the paintwork. 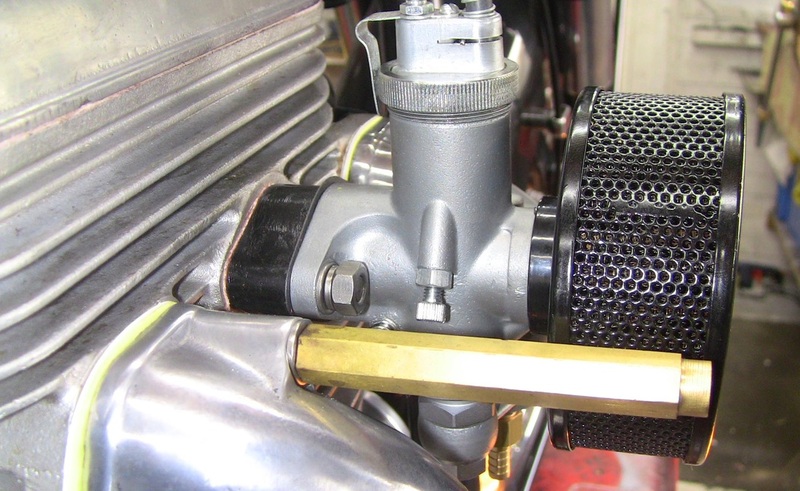 I wanted to give the carburettor a longer inlet tract and also to get a bit more cooling air to the carburettor body by moving it out from between the hot exhaust headers. I decided to see if I could offset the carburettor by one inch for 2014 season. 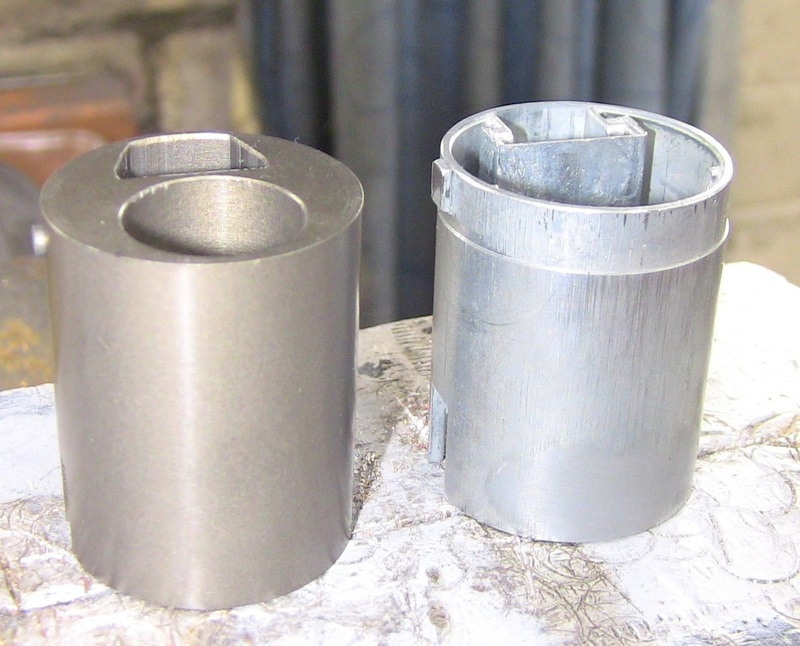 I machined up two new mild steel studs on the Myford lathe which is idea for screwcutting Whitworth and BSF threads. I lengthened the support pillar with a piece od brass rod soft soldered onto the air cleaner end. ﻿The only problem I have is the lack of one inch Amal carburettor spacers so for the time being I have used an additional 1/4 inch one to give me the extra length. Initial riding has shown the air cleaner teardrop can just be felt with the right knee if the tank knee rubbers are gripped. Temperature of the carburettor body after a long ride is now cold to the touch so the tickover remains constant. I would think that trickling along in heavy traffic is going to be much improved﻿. Picture of one inch offset at end of article. The brass support pillar for the air cleaner cover has to be increased in length to 3.75 inch including any plain and locking washers. This length of support pillar applies to both types of carburettor.